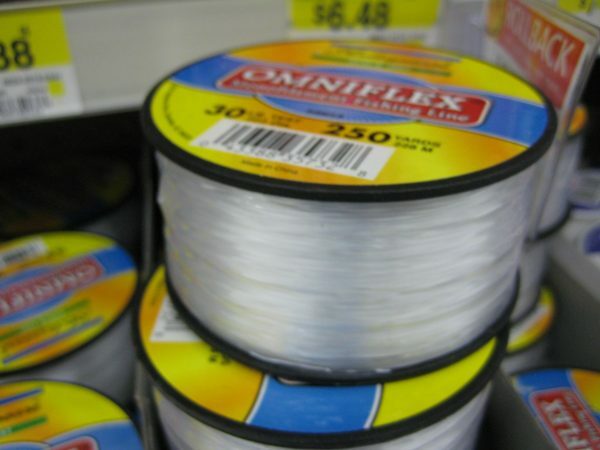 When it comes to fishing line there are a lot of choices. Manufacturers tout various colors of fishing line as less detectable to fish than others. But what is the right type and color of line to use? The answer depends on water clarity, but there are some go-to line types that work well regardless. Here we’ll look at various types of fishing lines and discuss their advantages and disadvantages based on an analysis by professional bass angler Tyler Brinks, published at Fix.com. Clear fluorocarbon line is reportedly the most invisible line on the market, according to manufacturers. This type of line is said to have the same light refraction properties of water, making it virtually invisible to fish. It’s also one of the most versatile as it retains its near-invisibility in ultra-clear water as well as murky water. It’s hard to imagine a line could be better than invisible, but manufacturers claim that a pink tinted fluorocarbon does just that. Scientific studies and the experience of divers shows that pink loses its color at various depths as it works to blend with the water and become invisible to fish. 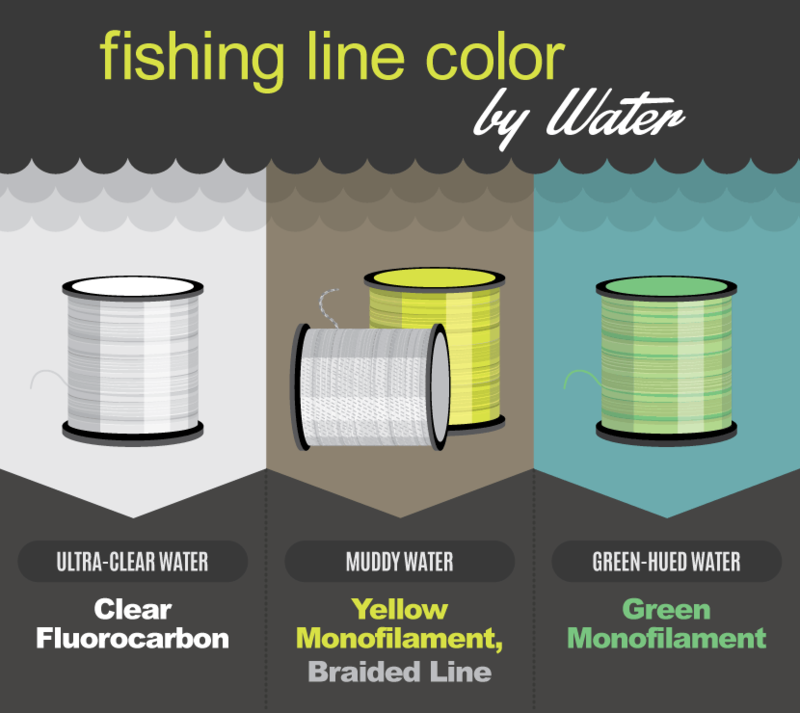 The most popular line among anglers has long been monofilament line, but many types of line are tinted with various colors. 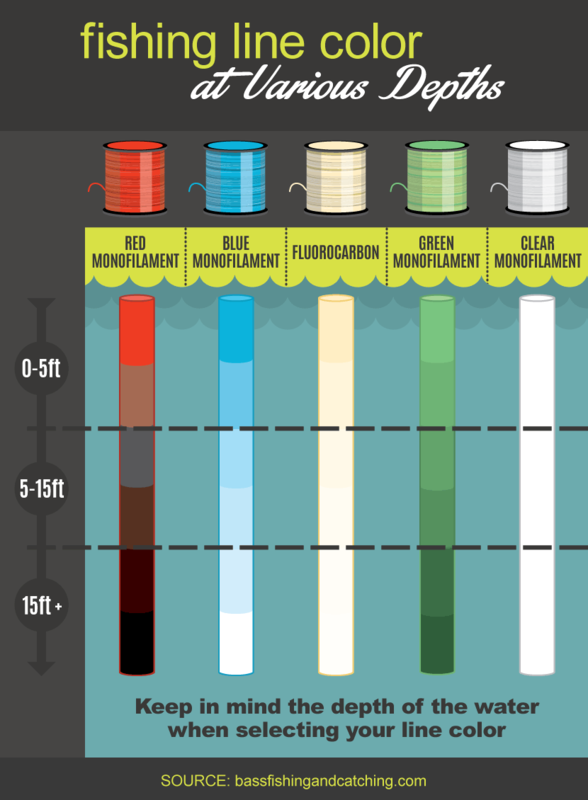 Here is a breakdown of popular monofilament colors and what they are best for. The main advantage to yellow line is that anglers can see it above the water and can better detect when you get a bite. This line choice is best in murky waters because it also makes the line a bit more visible underwater. Red, like pink, is also said to be invisible underwater at depth. But some divers say red actually looks black underwater, so that’s not good. Those who red hooks believe the red attracts fish because it looks like blood, so it’s not quite clear whether red is visible or not. When it comes to blending into the water and yet having a color-tinted line to see above the surface, green is a great choice. Most of the waters anglers fish are tinted with a bit of green so the line acts almost like camouflage, blending into the water. And if none of this makes any sense, just stick with the simple clear monofilament. You can’t go wrong there. Lastly, there are braided lines. While there are many benefits to braided line, being undetected is not one of them. Braided line offers strength and a thinner diameter than monofilament so it casts well and does not stretch. For this reason it’s great for fishing around heavy cover and in dirty water, but probably not if you’re worried about fish seeing it. To get around this, many anglers attach a length of clear fluorocarbon or monofilament to the end of their braided line.